I recently conducted a workshop with teacher leaders exploring their role in facilitating PLCs with their colleagues and the next day, in another school, facilitated teacher leaders exploring their role as peer coaches. The value of combining PLCs and peer coaching was reinforced as I shared in both sessions the connectedness of teacher learning and student learning. The teacher leaders focused on PLC’s recognized how classroom observations by instructional coaches or PLC colleagues would add valuable information and insight to the PLC process. The teacher leaders focused on peer coaching as an element of teacher growth goals recognized how teachers with a common focus forming PLCs would provide valuable support to the growth process. In both cases the combination of PLCs and coaching supports continuous collaborative improvement. 1.Is our PLC committed to fostering collective responsibility for improved student performance? Collective responsibility requires functioning as a team. Teamwork necessitates developing trust. Peer coaching creates an opportunity for teachers to “see” each other’s work and results first hand. For trust to be built, colleagues need to share some vulnerability. Peer coaching conferences where a colleague shares a goal “not yet reached” provides the setting for vulnerability and trust building. 3. Is the PLC facilitated by well-prepared school principals and/or school-based professional development coaches, mentors, master teachers, or other teacher leaders? 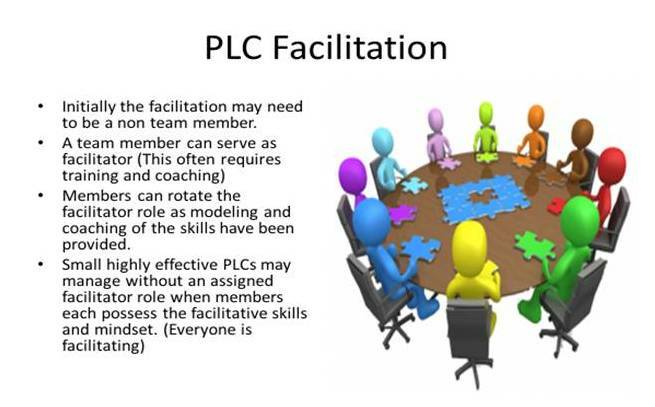 Facilitation of PLCs requires a skill set that needs to be developed among school -based educators. These skills take conscious practice and feedback. I often ask PLC facilitators to commit to peer coaching each other as they work with their PLCs. Several administrators who were in a recent peer coaching workshop discussed forming peer coaching partnerships with their teacher leaders to enhance their facilitation skills. 6. Is the PLC engaging in a defined continuous cycle of improvement? Provide job-embedded coaching and other forms of assistance to support transfer of learning. Assess the effectiveness of professional learning. Instructional and peer coaches provide the reinforcement for teachers’ conscious practice of new skills and behaviors. 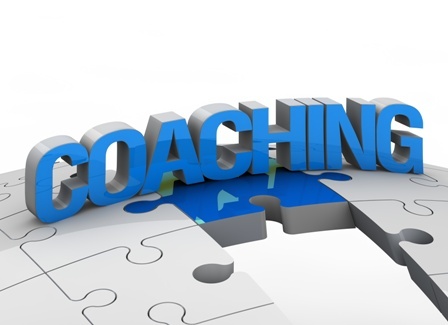 Feedback from coaching observations guides, reinforces, and encourages the change process. 10.Is the learning supported by job-embedded coaching or other forms of assistance to promote the transfer of new knowledge and skills to the classroom? In The Transformation Power of Collaborative Inquiry, Donohoo and Velasco identify that peer coaching and instructional coaching are aides to finding solutions in PLCs. 11.Is the PLC assessing regularly the effectiveness of the professional development in achieving identified learning goals, improving teaching, and assisting all students in meeting challenging state academic achievement standards? PLCs are designed to create a collective responsibility for student success. Teachers observing in each other’s classrooms meet the students for whom they are accepting shared responsibility for learning success. I often push PLCs to put names on student data to increase urgency and commitment. Putting faces to names is even stronger. When peer coaching teams from a PLC focus on the success of an identified group of students, collaboration is built. Consider having a PLC session end with pairs holding pre-conferences and agreeing to observations occurring before the next PLC meeting. Begin the next PLC with post conferences in pairs and then a whole PLC debrief of the findings. Experience how those peer coaching sessions can advance the PLC’s work.